Looks good Thee.. ...can't wait to see all my bulbs in flower as well. 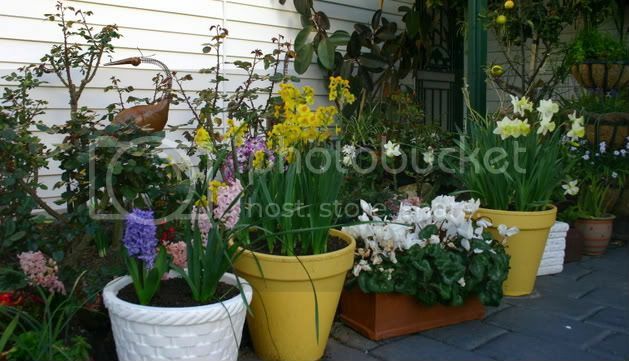 very, very nice and those yellow pots compliment the flowers really well. It's such a lovely pathway of flowers, Thee.